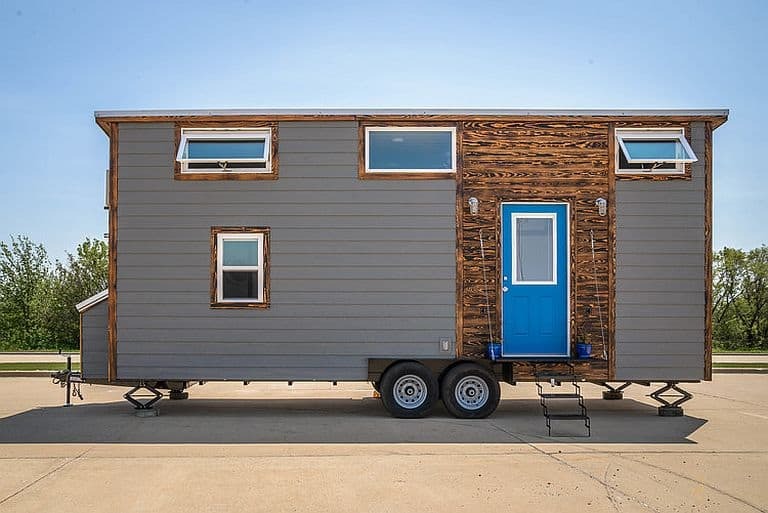 Here’s another, well, Gem from a man who’s rapidly becoming one of our favorite designers, Brian Crabb of “not a tiny house company but doing a pretty good imitation of one” Viva Collectiv. 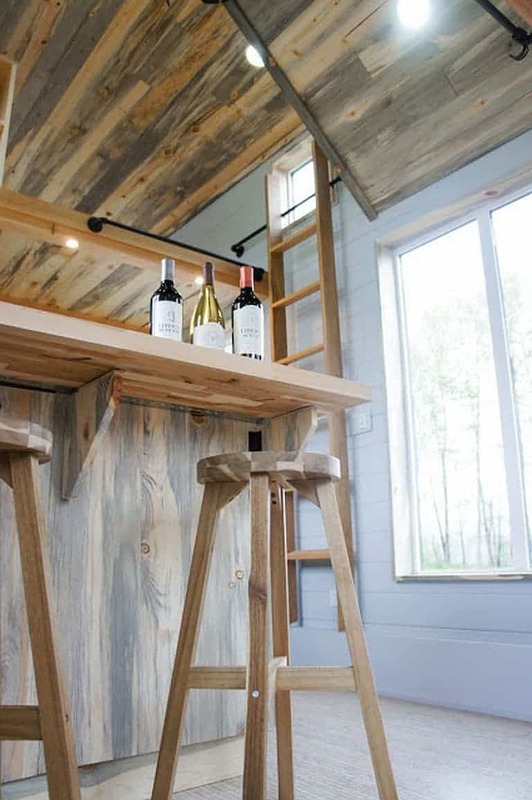 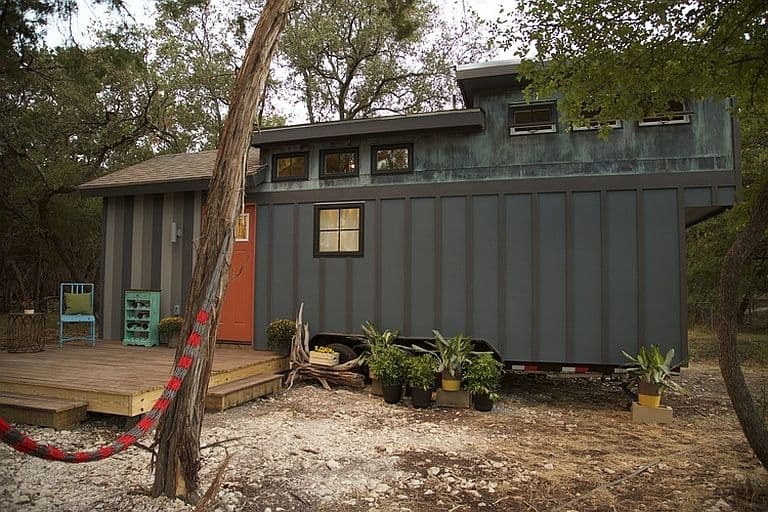 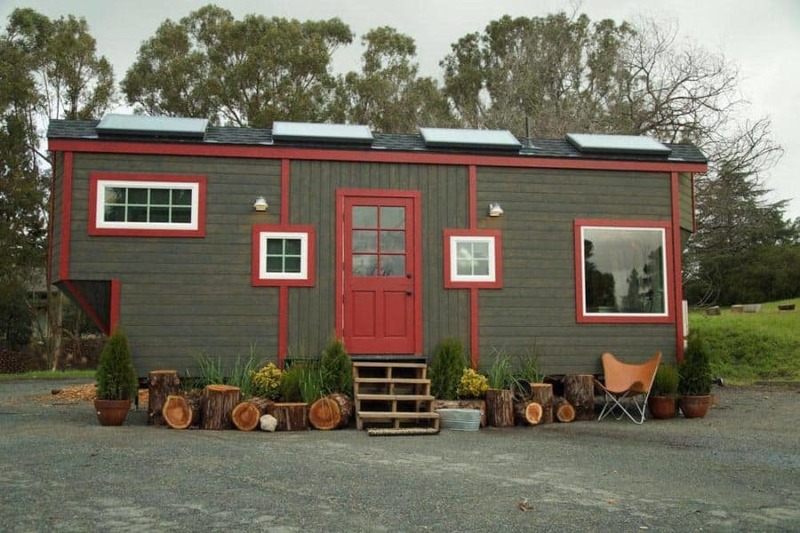 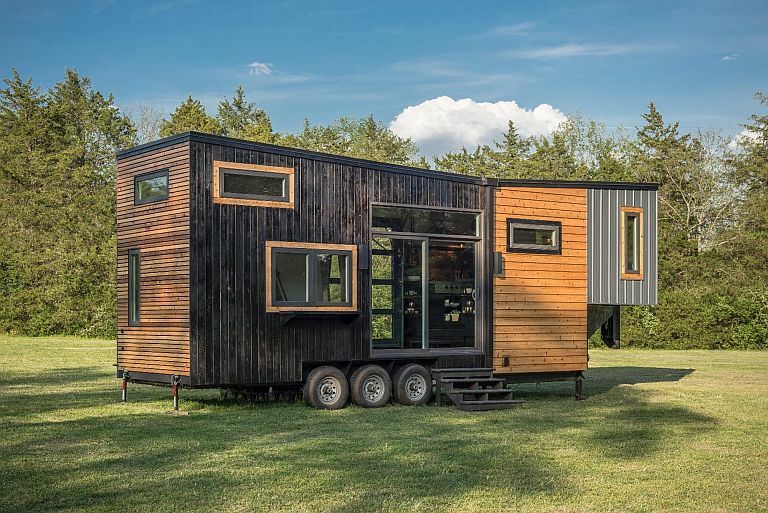 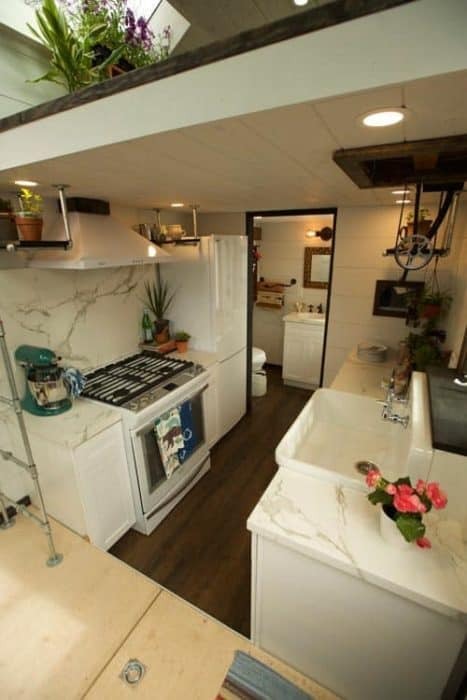 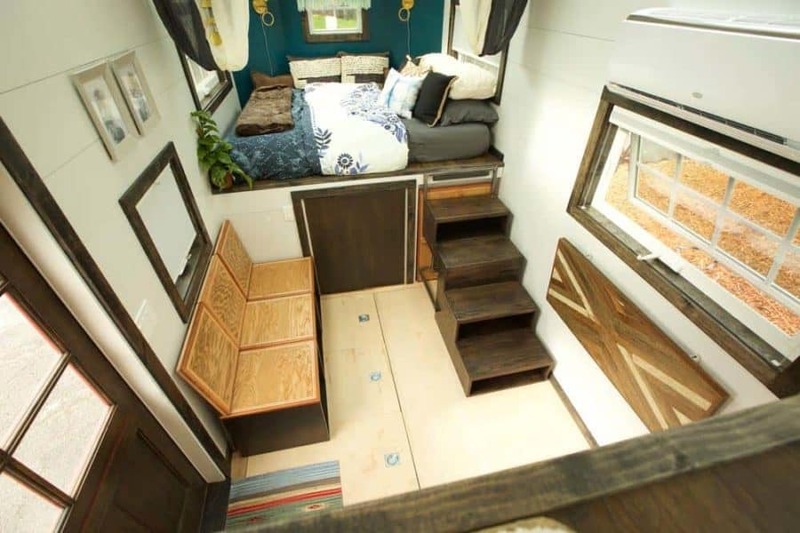 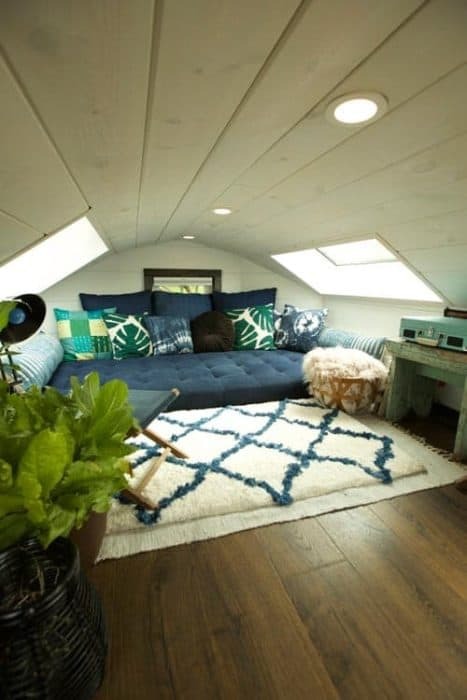 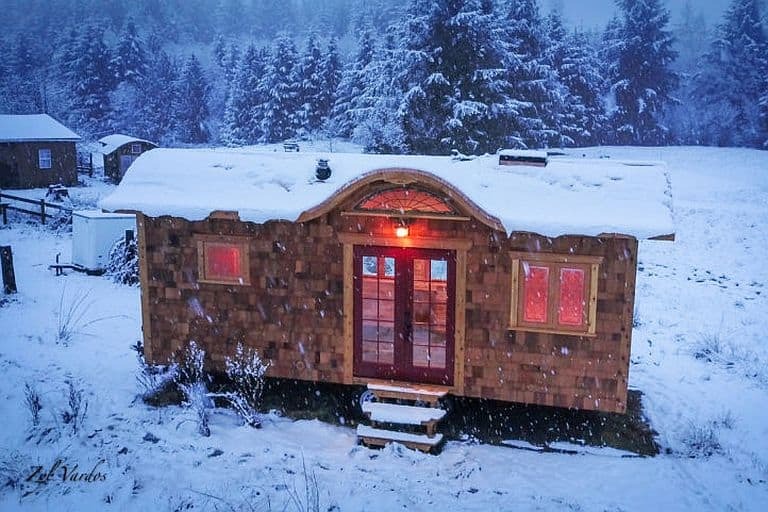 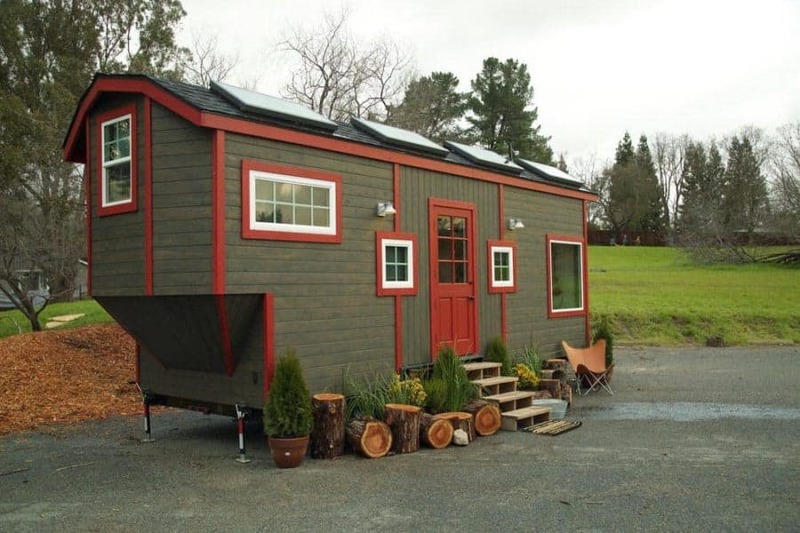 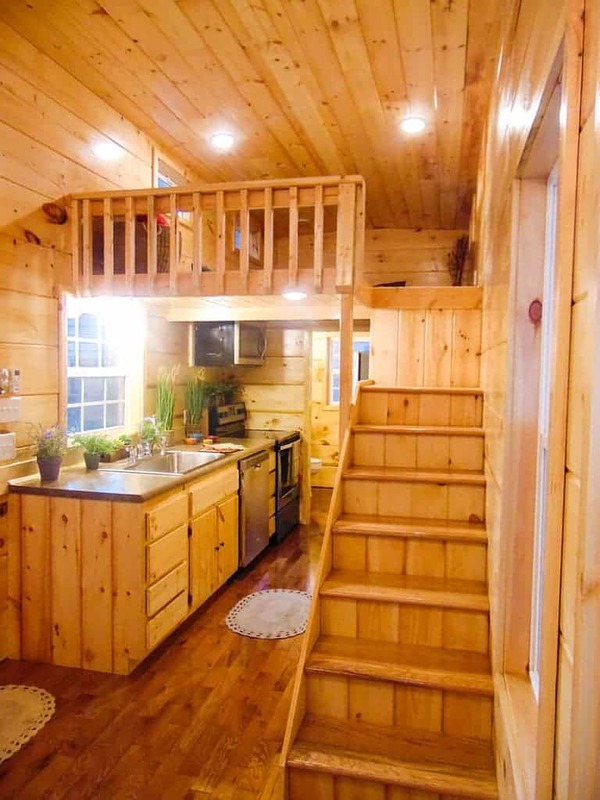 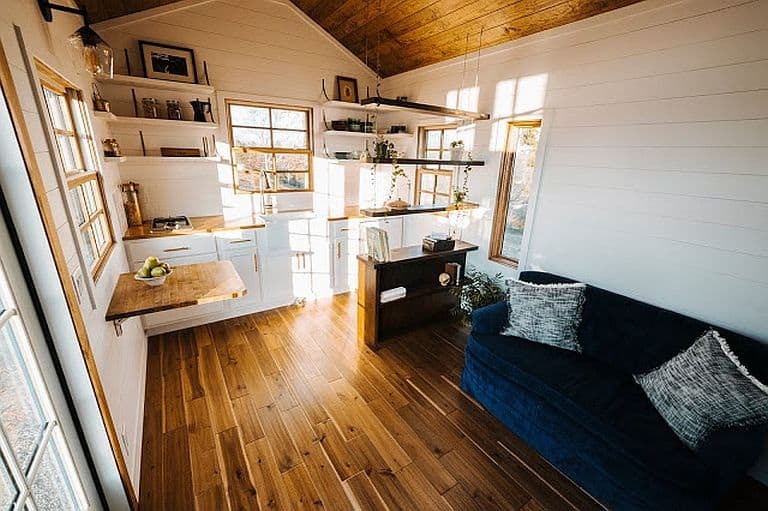 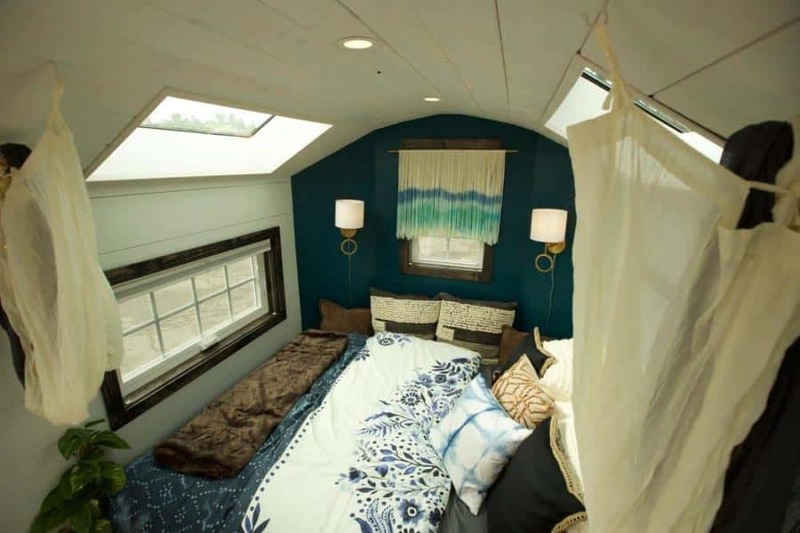 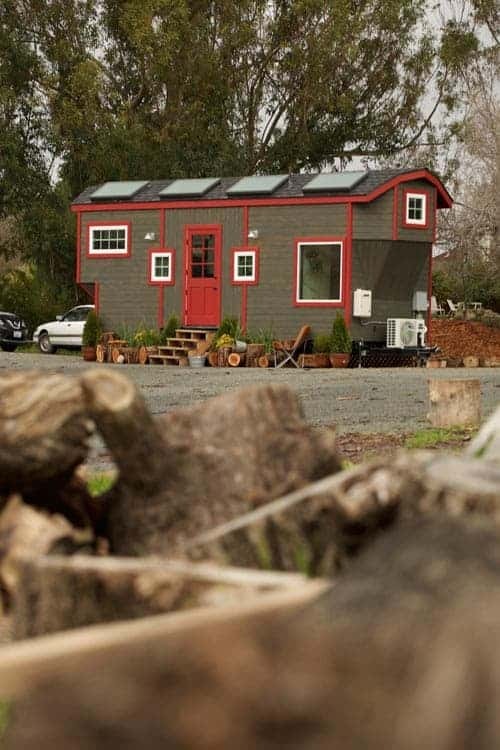 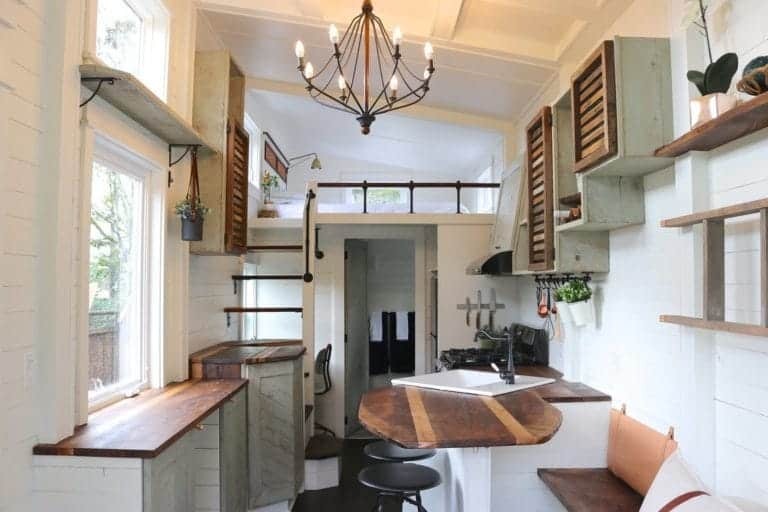 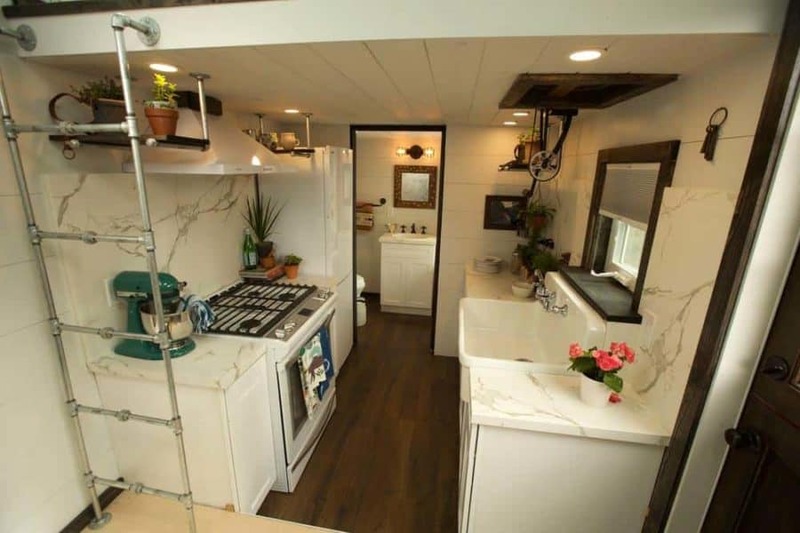 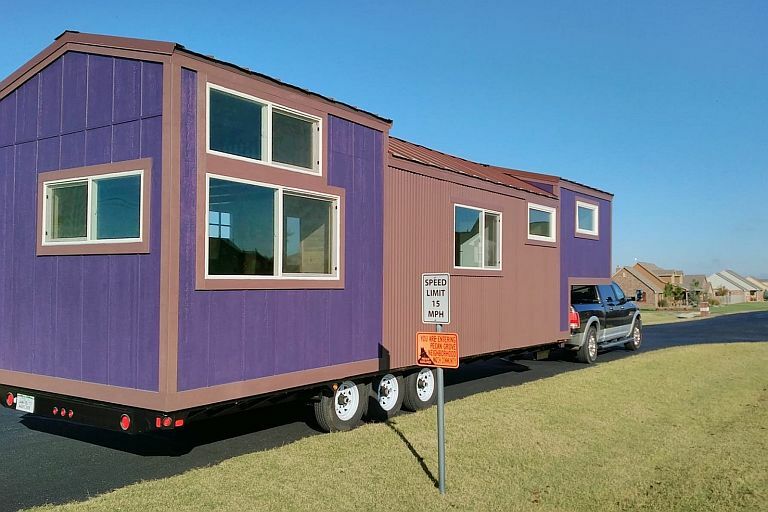 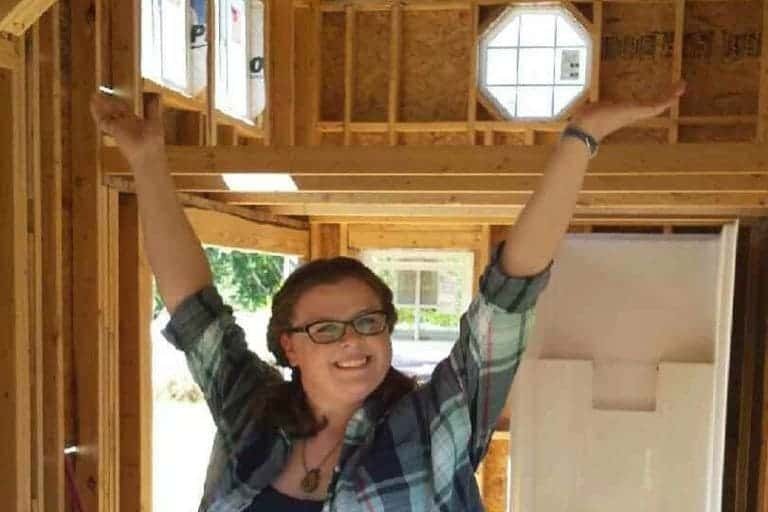 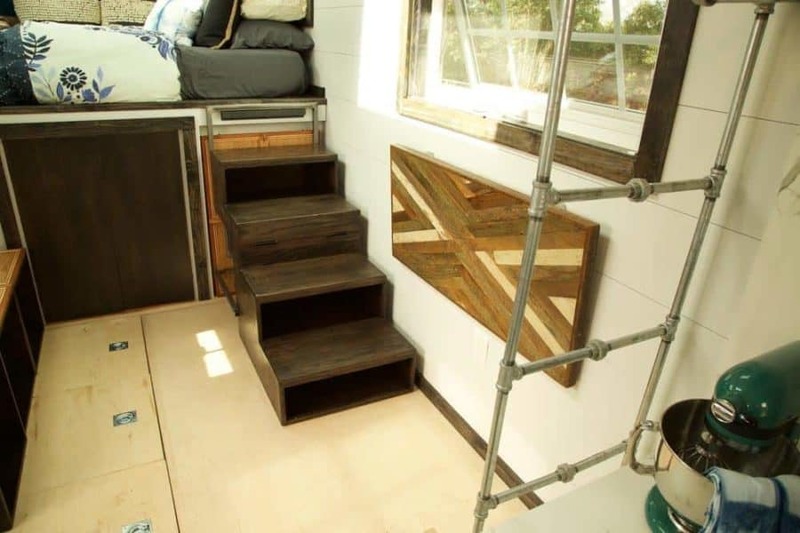 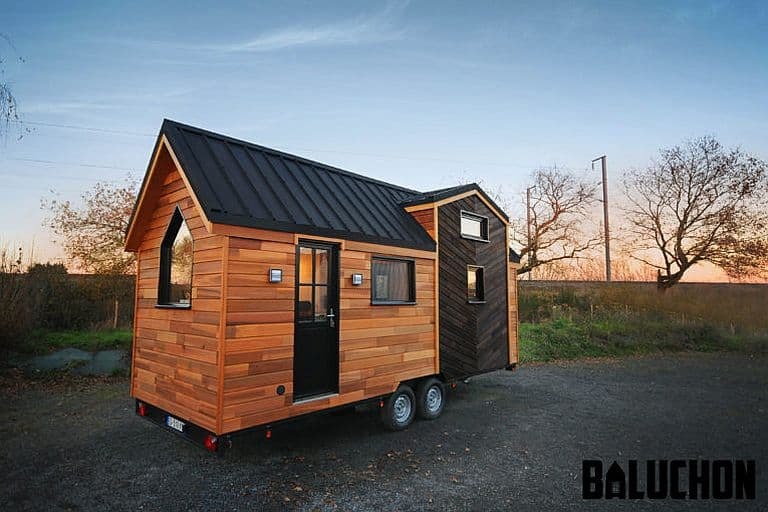 The 173-square-foot THOW was built by Hunter Miley of Total Property Solutions and has a ton of built-in storage, a semi-loft bedroom, and a huge kitchen with a second bedroom loft above it. 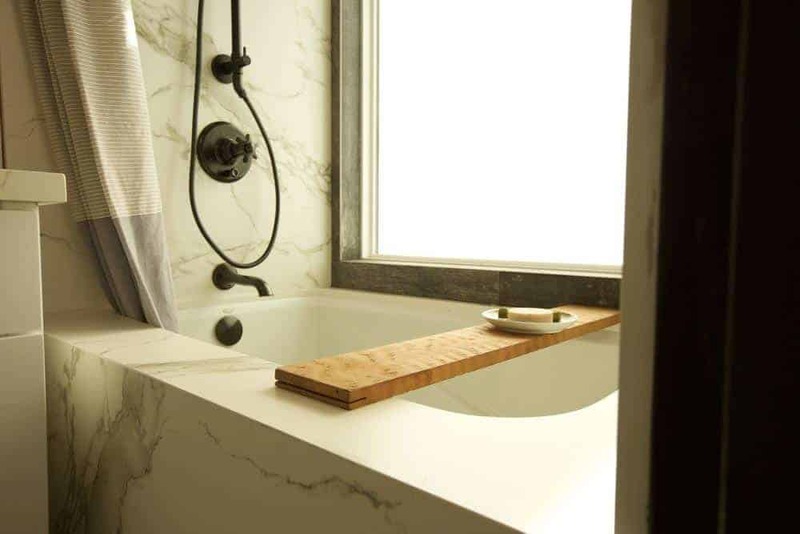 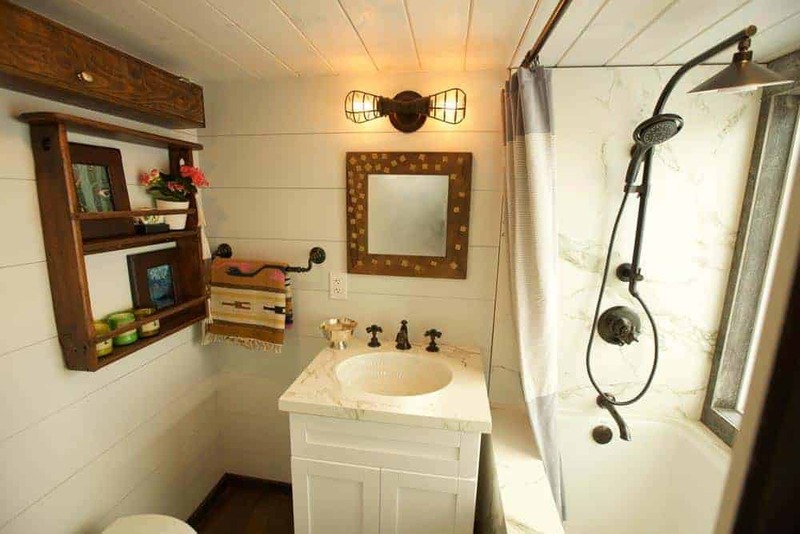 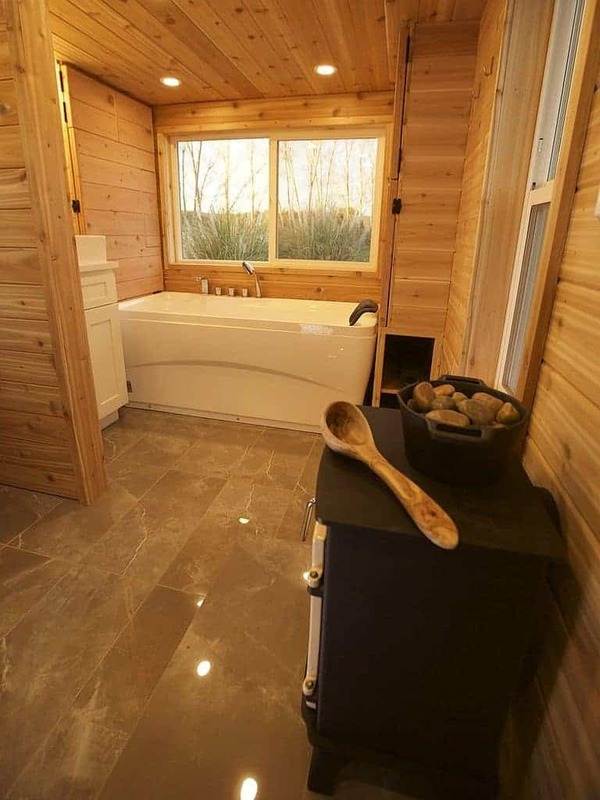 Oh yeah, and a big bathroom with a marble tub… scroll down to see it all!